The helicopter was shot down on Friday in the Catatumbo region where the ELN and rival group EPL have been vying for control. The three men on board the plans have been missing since. 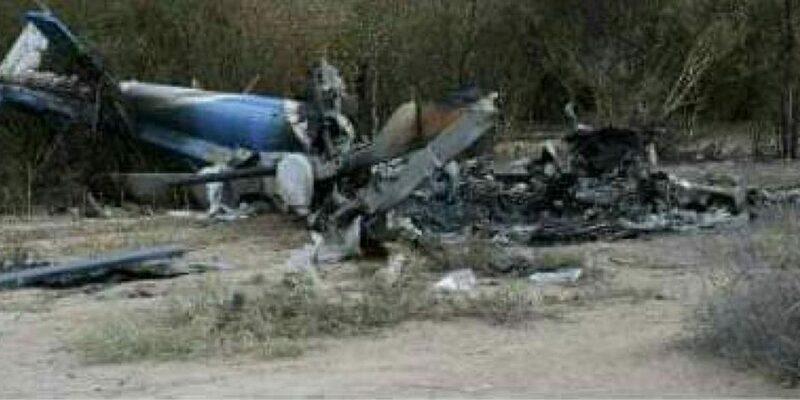 The EPL claimed responsibility for shooting down the helicopter on Monday, but denied holding the crew hostage or having recovered the money on board the aircraft. Our units are only responsible for taking down the helicopter, which was hit by our anti-aircraft weapons, the aircraft landed after being hit in the hamlet of San Jose, rural area of Hacari, Norte de Santander, where none of our guerrilla units were present. The ELN on Wednesday claimed that its “anti-aircraft units” in the lawless region had taken down the helicopter, and said their guerrillas had captured the pilot and the two Brink employees. The aircraft was controlled in a rural area of San José del Tarra, municipality of Hacarí; the crew members Captain Julio Díaz, Carlos Quinceno, Maxwel Joyay were detained and an important sum of money was recovered that will be destined to the revolutionary struggle. The EPL and the ELN used to control the region with the FARC until the largest of the three groups demobilized and disarmed last year. The demobilization of the FARC left a power vacuum in the abandoned and coca-rich region that spurred a turf war between the two groups.